Here are a few photos of mantels that I have. Others are in the shed and not shown here. Most are oversize so that they can be resized for your needs. 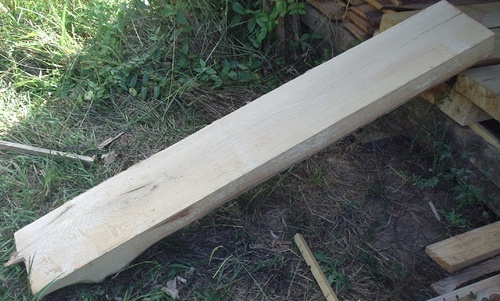 White oak and red oak mantels are available and priced from $40 to $85. Call (336) 210-0144 or email harfrid@gmail.com to purchase. Click on each photo for a larger image. Red oak mantel pices 4"x11"x63"
Here are three different angles of the same red oak mantel piece. The top side has square edges and the bottom is a little rounded where the bark was removed.